Comic-Con Guide: Are you going to Comic Con in 2018? Are you going to Comic Con in 2018? Happy New Year! I hope your holidays involved lots of parties, presents and Christmas cookies - and if you were freezing in the Northeast like I was, a fireplace. I also hope your New Year's resolutions include some kind of Comic Con plan, especially if you didn't get an SDCC badge last month. 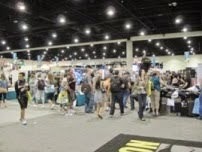 If you traditionally go to SDCC or some other spring/summer Con, the season may seem far away. But now's the time to think about where you really want to go and when you need to make it happen. If you're still new to Comic Con life and all of its reservations, badge sales and budgeting, you might think of going to a Con as some kind of fun activity that either "works out" or it doesn't. But that's just not true. While luck does play into it (sometimes mercilessly), there is a fair amount of planning involved that ultimately determines whether or not you walk through the doors of a major Con. Here's what you need to think about. 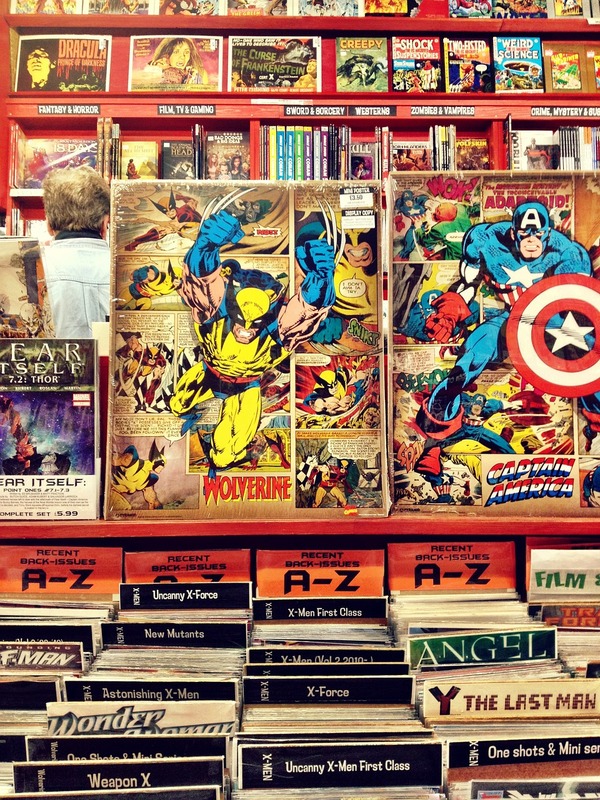 Which Comic Con do you want to go to? You already know if you're going to SDCC. But if you're not and you wish you were, you can set yourself up to go in 2019 by signing up for a Member ID, reading blogs and forums like Friends of Comic-Con, and getting a realistic idea of what is involved. San Diego can be nirvana but it can also fall devastatingly short of a first-timer's expectations. Get a grip on what's required now. The key here is understanding what you want from your Comic Con experience. Don't think that the biggest Cons are necessarily the ticket to making your dreams come true. Let's say you want to meet celebrities. They are often more accessible at smaller Cons than the biggest ones. 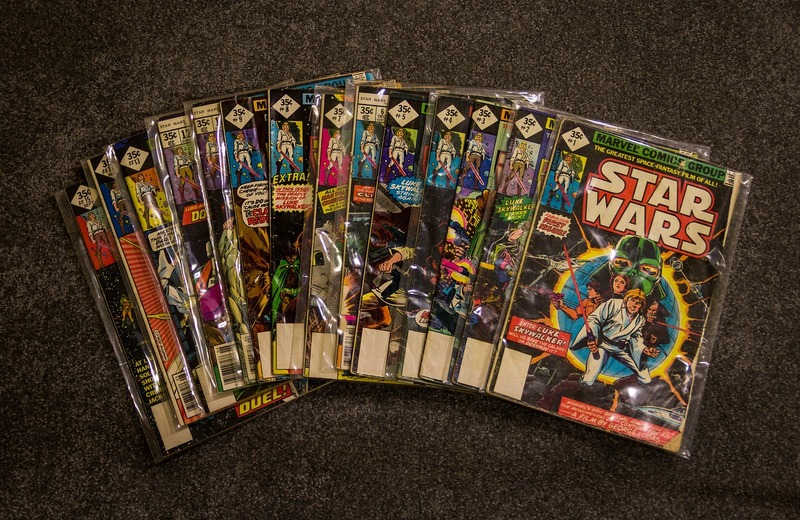 Or maybe you want to collect really obscure back issues. You'll definitely want a more comics-focused Con like Emerald City as opposed to Cons which have "Comic" in their name but focus mostly on Hollywood. Maybe you'd like to host a panel of your own. Figure this out before you invest in a giant Con like NYCC or SDCC that's probably too competitive for you. Ditto if you want to network or promote your work - just because certain influencers are afoot at those Cons doesn't mean you'll have access to them. Cons like Salt Lake, Denver, Emerald City, WonderCon or C2E2 are rapidly become a more appealing choice for many people for this reason. A word on New York Comic Con. You may hear people say that getting a ticket is now "as bad as San Diego." It's not. While the badge sales are pretty competitive, you're far more likely to get a NYCC badge. Ditto hotel room - it's New York. So don't write off NYCC as the East Coast San Diego Comic-Con just because it's big. This is a top choice if you got shut out of last month's SDCC badge sale. On a related note, don't assume your local small-time Comic Con is a smaller version of the more famous ones. 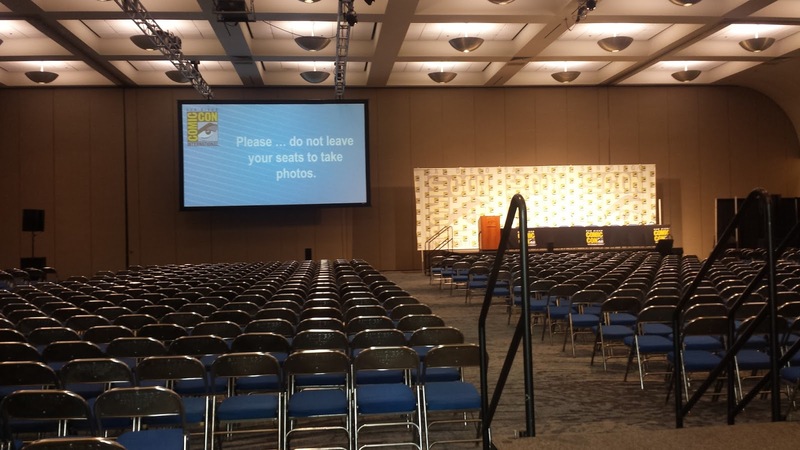 A lot of Cons boast high attendance numbers these days without boasting anything close to SDCC or NYCC guests, events, vendors and panels. I've been to several Cons with 100K+ attendees that were basically an indoors swap meet. If you want the magic of a major Comic Con, you'll probably have to travel unless you're lucky enough to live in Seattle, New York, Atlanta, San Diego/LA, Chicago, etc. Which Con works with your budget and schedule? Size isn't the only thing that matters. Some of the newer or smaller Cons like Boston and Silicon Valley already have great reputations. SVCC is described as "where science fiction blends with science fact" and features new tech along with comics and fandom offerings. You'll also need to figure out how many Cons you can realistically consume before the law of diminishing returns kicks in. Emerald City is in early March, which gives you breathing room before the summer season: Phoenix Comicon happens around Memorial Day weekend, Denver Comic Con shortly thereafter, SDCC in late July, Gen Con and Boston in August, Dragon Con on Labor Day weekend and Salt Lake Comic Con in September. Then NYCC is in October. That doesn't even include the 100+ Cons sprinkled all over the world. In terms of money, you'll want to start your Con cash stash right now. 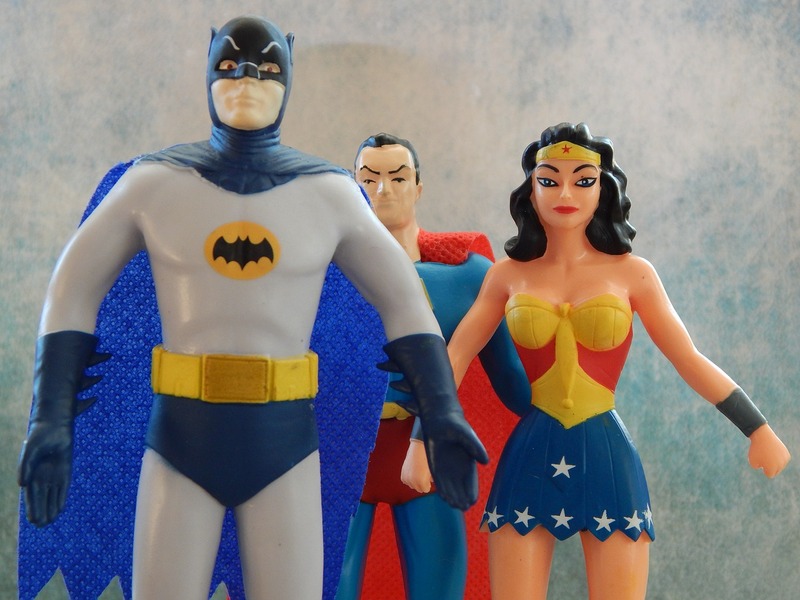 After you account for plane fare, badge, meals and hotel, you'll still be tempted to spend on a number of things - original art, action figures, comic books, party tickets and more. Maybe you've ascended to a higher plane of consciousness where such things don't tempt you, but if you're like most attendees you'll covet at least a few Exhibit Hall finds. Start squirreling away money now so you can indulge your nerd hungers when the opportunity presents itself. You'll also want to talk money with your Con companions now. 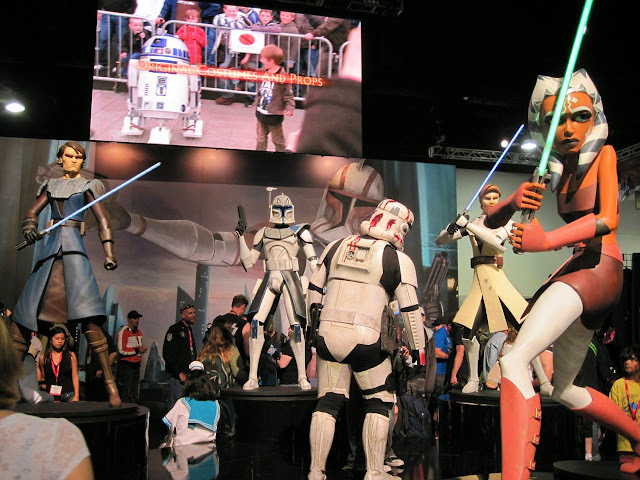 If you've been going to Comic Con for a while, you've probably had friends beg to go with you, then fade away when it came time to book a plane ticket or go through the various badge sale hassles. You rejoice over scoring a room at the Hilton Bayfront - then months later your friend suddenly has a wedding to attend and you're paying the entire tab alone. It might seem like a tall order to get people to commit to Con costs now but it's a good way to suss out who's serious and who's not before you buy tickets and put down hotel room deposits. It's also smart to vocalize this in your social circles; you might know several people who would love to come but just don't know how to get started. What logistics do you need to take care of? This is what separates the attendees from the people who watch Comic Con updates from home. 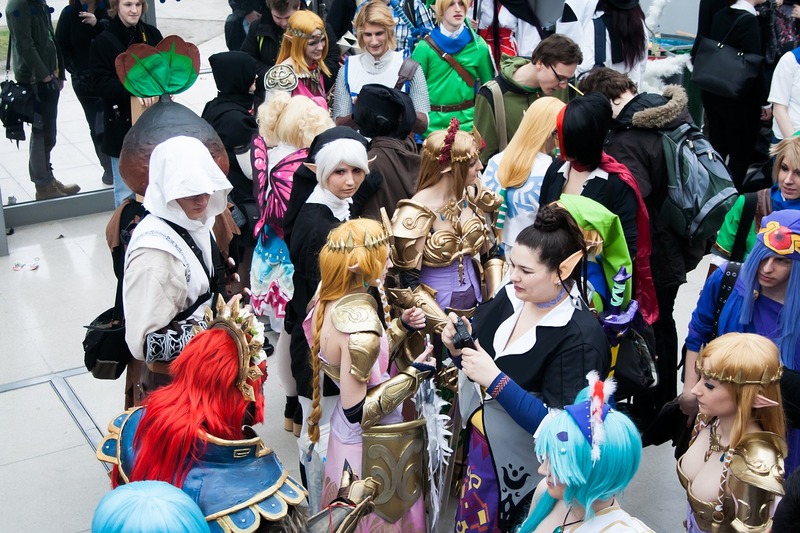 Some Cons are still walk-in status but the best ones usually sell out tickets and hotels. You'll need to figure out when these go on sale, how to register to even be eligible to get the email announcing the badge sale - you get the idea. It can be tricky to navigate. And because the actual Con website is going to be full of marketing hype and cute graphics, you'll want to get active in digital communities for inside tips and advice from Con veterans. The community is generous about helping newcomers, from joining a buying group to knowing which hotels to avoid. Another thing to check - what your badge or ticket actually gets you. I'll probably write a post on this, but right now know that more and more Cons are charging additional fees for top signings and panels. I find this beyond irritating but it's the way things are going at some Cons. Ace Comic Con, for instance, is charging more than $900 for a Chris Evans/Tom Holland "Dual VIP" experience for what boils down to autographs and photo ops and good panel seats. Phoenix Comicon is charging for a Meet and Greet with Greg Capullo and Scott Snyder that's actually a signing and photo op; you can also buy a "one-on-one moment" with Tim Curry from $200-300. In other words, dig into whatever Con you're targeting and make sure you'll be able to see, meet and experience who and what you want. If shelling out $100 is a big deal for you, but you think it's worth it to meet your favorite artist - and then you find out that'll cost you another $150, which you don't have - you're not going to be too happy. If all of this sounds like too much effort - and there's an excellent argument to be made that it is - then stick to smaller Cons. Life is too short to exhaust yourself training to become a Comic Con ninja unless you really enjoy it. This is survival of the fittest and the Comic Con experience is not for everyone. But if you think it is for you, get ready now - and you'll reap the rewards a few months down the road with incredible Comic Con memories. Good luck. Here's to an exciting and beautifully nerdy 2018 for all of us. I do plan to go this year since I was able to snag all four days which I still can't believe. But I don't plan to spend each day there for twelve or more hours like my friends do. That's too long for me. I'd like to be able to come and go as I please without being tethered to my friends. When I get tired, I can relax though there are such few places to actually sit at the convention centre. 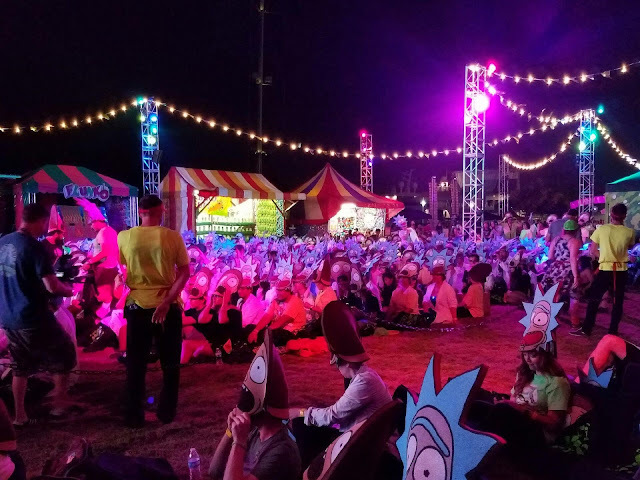 This year I plan to see if I can get into a few panels like Rick & Morty (my fav!) and others. As for the floor itself, I don't need to see everything in one day. I need bits and pieces of it or I'll burn out. And I plan to park a few blocks away from the convention and center and eat the nearby Cheesecake factory which I didn't know was there last year. I have more control for this year's CC than last years. So I'm hoping it'll be a positive experience. A lot of attendees still haven't caught on to the Headquarters, which has the Cheesecake Factory, Mexican and pizza restaurants, a gelato place, a Starbucks, and other offerings. 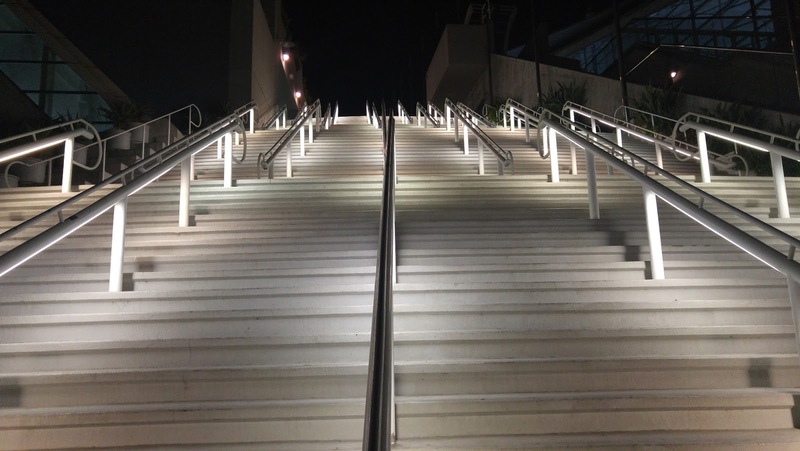 It's really accessible and is right across the street from the Hyatt. Can't beat it. Yes I am going also. Congrats! Especially if it's your first time. I too was lucky to get a 4 day pass. I agree with Luis to spread out your time inside the convention. Cheesecake Factory is nice and not real expensive IMO; the place is dark inside compared to the other locations I have ate at. This year my brother and I plan to spend Thursday mainly at offsite events to avoid the large local crowds on the Fri-Sunday. Hopefully, the plan works out. That's a smart strategy. Those lines are ungodly by the weekend.